in seconds - at no added cost. Hold claim to an eco-friendly image. Continuous focus on operational improvements to reduce output. Experience work-flow optimization at its finest. Our program can recommend cost-sensible options before printing. Upgrade like royalty. Enter Tier 1 OEM pricing. Our leasing program allows early upgrade ability without penalty. Growth should never be met with adversity. We understand the value of tenured customers. 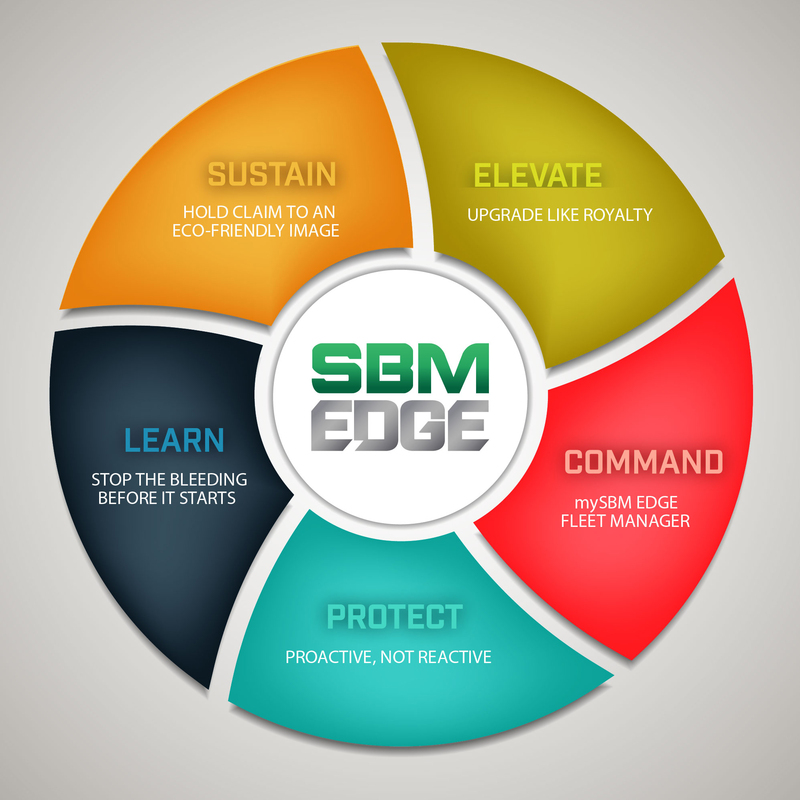 mySBM Edge fleet manager. Our revolutionary account-specific portal allows procurement of equipment and supplies across multiple locations. View your fleet, schedule service, view live meter reads, and place service calls. Complete the entire ordering process with mySBM EDGE in a matter of minutes. Proactive, not reactive. The DSK (Data Security Kit) offers all levels of security for our equipment; compliant with Healthcare (HIPAA), Financial (GLB/SOX Act), and Government (ISO 15408/CC). Stop the bleeding before it starts. Industry secrets are at your disposal with The SBM Edge. Our software provides real-time insight into print usage and asset management.